Calendar is edging quickly toward the 2018 24 Hours in the Old Pueblo mountain bike race. 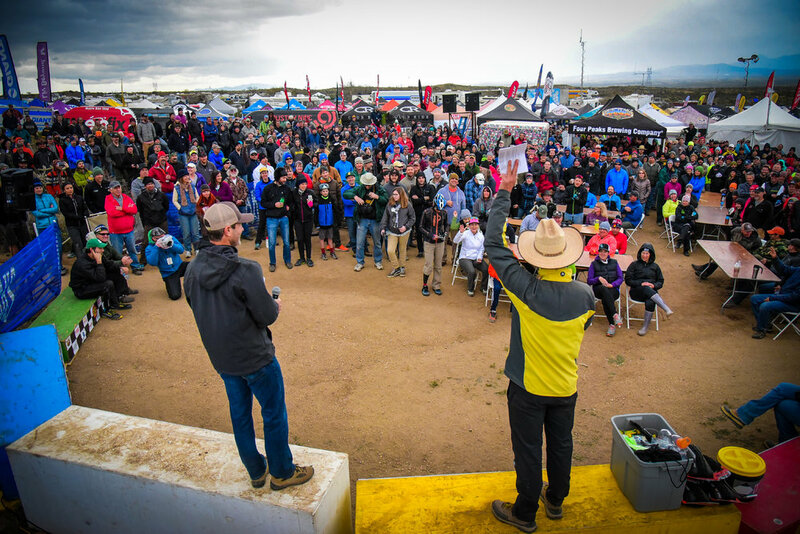 I chose this year to focus on the Oracle Rumble (32 mile ultramarathon), but I have fond memories of joining team No Limits at the 2017 edition of the endurance race. It was a big stride (for me the non-racer) to do an ultramarathon (34 miles) in November and aim at a 24-Hour mountain bike race in February. It was a good, successful and growing experience. Training for the 24-hour race would require a new mountain bike (triple yay! ), a few crashes (got my first, and most graphic one out of the way on the first ride) and a shifting of gears to revolve from running to biking. Training ride where we came across a lost Colorado State University runner and guided her back to the trail head. Well, most of the team. Me on the L, Olivia Rasmussen and Kent Loganbill. Photo by Todd Rasmussen. Off skiing, Billy Joe Donnelly. Training on the Sweetwater Trail (Tucson Mountains). Training would connect me with Kent, Olivia and Billy Joe, all on the type 1 diabetes team No Limits. Todd, Olivia's father would also join us on various shredding in the Arizona desert. We varied our dirt exploration and spent quality time on 7 or 8 trails around Tucson and Oro Valley. Interview with Judd Resnick (Unica Publications - New Zealand) for a coming series on diabetes. Hats and mountain bike helmets off to Kent, who worked with the team and who endured a riding pace that was far below any riding that he has done since donning a tricycle. As the race neared the focus and buzz was the coming weather. While scrambling to have all of my race gear, clothes, food and diabetes supplies in order we were now looking at atrocious conditions for the 24HOP. Really, ? Cold, windy, rainy and it would even snow during the night laps. Pulling into 24 Hour city, it was quite the spectacle. This area that is vast, empty desert would become a community of almost 2,000 riders and 5,000 inhabitants. 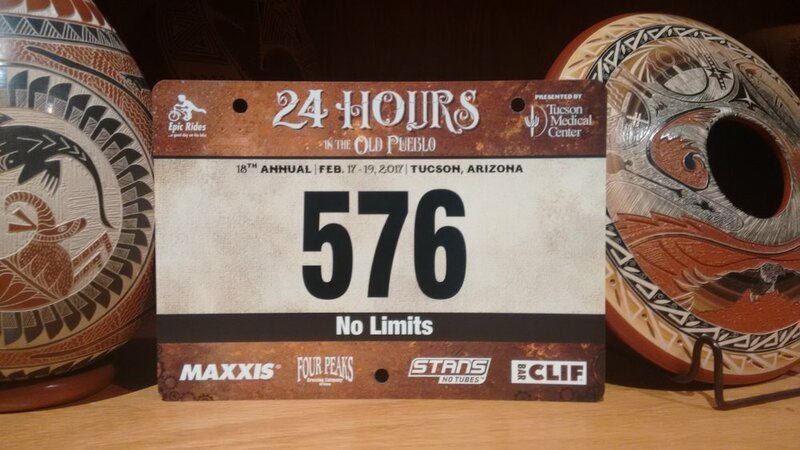 24HOP (24 Hours in the Old Pueblo) is one of the largest mountain bike races in the world. It is a special delight that the course is about 25 minutes from the house and I see the terrain on most of my runs. Pre-race meeting. Photo by Sportograf. Setting the tent up in 25-35 miles per hour winds (alone) was epic. Oh, what I would have given had I had the brilliance to video that moment. Many, many activities going on before the race. This was one of the funner moments I captured. This is the rock drop (course goes in the opposite direction of this trooper). Todd had a superb camping site for the team, despite coming equipped with gale force winds. We buckled in for the race. Todd & gang fed us extremely well and I was off to sleep. Wait, sleep did not arrive. More on this drowsy subject later. Race day rustled to a start and it...was...not...raining! Yet, the beast was coming. As team captain and just being a nice guy, I left the riding order up to the team. You can guess that this left me as the fourth No Limits rider on the course. In my many years of bungee jumping you wanted to be one of the first jumpers. Waiting for hours to jump would play on the nerves, blood sugar and confidence. This play of the cards would be a positive later on. Kent would ride first. This was the most challenging stage with more riders in tight spaces. 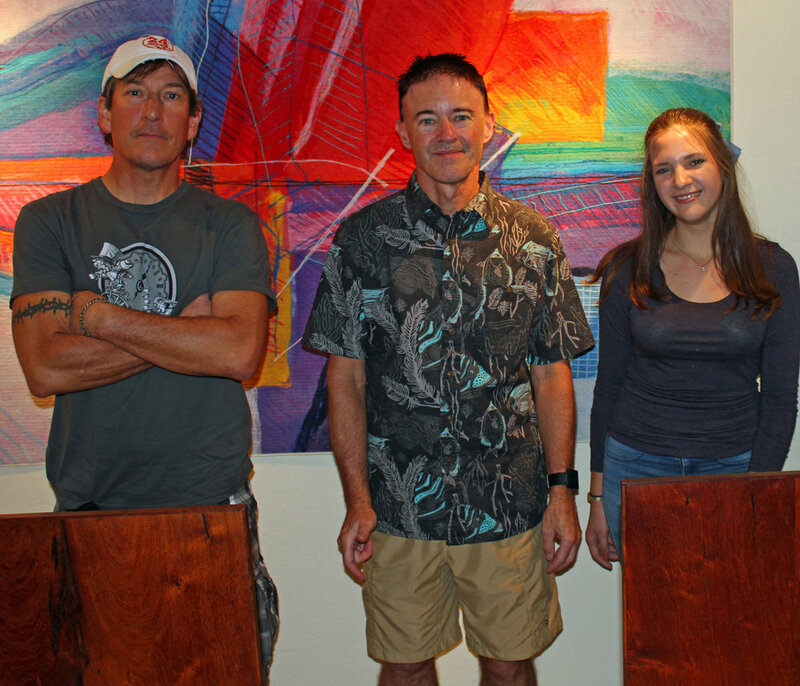 Kent has unbelievable talent and is one of the best road/mountain bikers in the Tucson area. I did not post his monumental ride out of the gate but there is footage in "You Only Live Once". Olivia would nail the next loop and would call it a day. Billy hit the trail and I would prepare for my first mountain bike race experience. There was a staging tent where we would wait for the team rider to finish the sixteen mile loop and you would hit the trail. 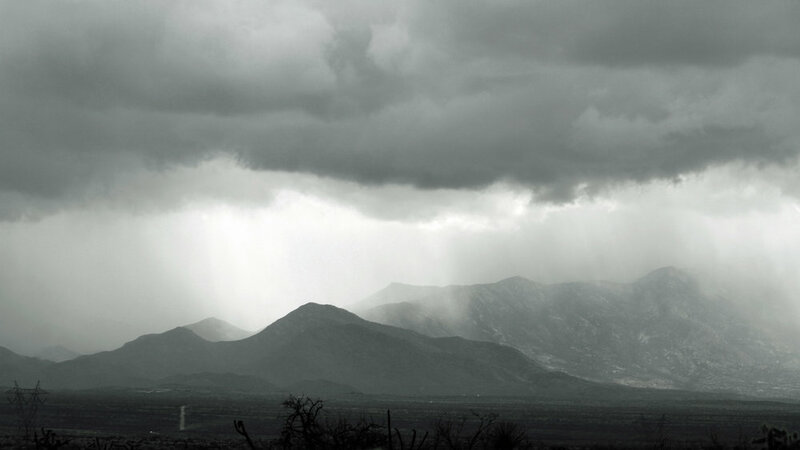 The weather slowly rolled in and as it would play out, I only dealt with rain on my final lap. There were light snow flurries on my two night laps. More epicness, and to note, this was the only snow to fall in our area all winter. My first lap went well, aided by training missions that took us around the course loop. Not a real hard or technical sixteen miles, but good to have seen it before. Credit to Billy who arrived late the night before the race and he had not ridden the course before. I had come out to 24HOP the previous year to take some photos and to check out the event. I was impressed and this laid the groundwork to create a team and lean toward bringing along riders with type 1 for the experience. Recruiting was a challenge as I had roughly twenty five on the list of possible riders with type 1. Getting them to commit was a whole new ball game. Goal #1 was a co-ed team of five. We sort of got there with commitments from three males and two females. One of the females was a road biker wanting to dabble in off road riding in the dirt. She would not show up to any of the training so we would evolve into a team of four. Our search for female mountain bikers with type 1 would yield a total one in the Tucson area. Olivia is all the more amazing as she raced on the high school mtn biking team and is only thirteen years old. She did ride 24HOP in 2016. A personal goal of mine, beside getting a new bike, was to create a film of Team No Limits. I had been slowly creating a film on a No Limits kayak expedition in Alaska, but I had lots of learning ahead of me. This would take me part of the distance with more territory ahead. GoPro from Billy Joe's bike. No Limits rolled into the night. I am used to running at night but riding is a different stroke that kept me on my toes. Blood sugars saw higher readings that I would like the first couple of laps and a lower scheme on my third lap. Fourth lap was good and overall I was happy with how the blood sugars went for the event. Starting a lap at 4:16 am. uggghhhh! Finishing a lap at some ungodly hour, I strolled to my tent, head hit the pillow, I let out a few deep breaths, and nothing occurred. Sleep was not going to happen. I was wide awake and bobbing into my 2nd night with nary a snore. A guesstimation put me at about seventy six hours before I found the sleep zone. No Limits would finish with fourteen laps and a good nod on the team standings. Success,and dirt everywhere.